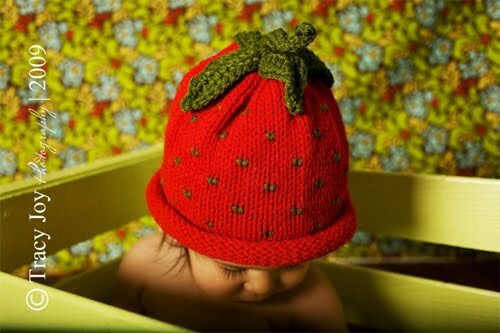 Grosgrain: "LA Originals" Knitted Baby Hat GUEST GIVEAWAY!!!! CLOSED. "LA Originals" Knitted Baby Hat GUEST GIVEAWAY!!!! CLOSED. I saw these a little over a year ago and fell in love. I tried to create a few for myself which turned out 'okay' but it was something I wouldn't try again as it took a very long time to complete and for a beginning knitter it wasn't exactly an easy task. How I'd love to win one of these cuties! Leigh-Anne of LA Originals has been gracious enough to offer one of her knitted acrylic hats (from this section of her store) to one lucky Grosgrain reader!!!! 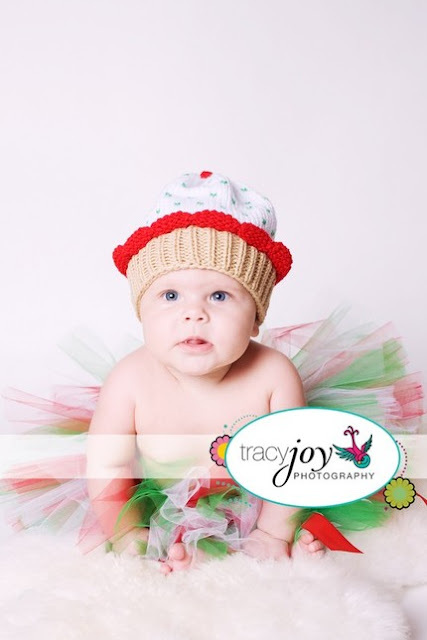 Get baby ready for his or her first Christmas with this adorable "Festive Cupcake" hat. Help baby celebrate in style!! This little Cupcake Cutie is knit in a soft, white, 100% Acrylic, worsted weight yarn and comes complete with festive Christmas green sprinkles and a cherry on top!! The ruffled, red, icing sits atop the beige cupcake bottom and the "sprinkles" are knit right in, so no worries of them coming loose as a bead can. Easy to care for, just machine wash and dry at a low temperature setting. Leigh-Anne has loved to knit and crochet since she was a young girl, and she still finds today that her creative spirit keeps her awake at night plotting her next design or project. She adores color and texture, and combining the two to create unusual and unexpected results. Much of her inspiration is drawn from her beautiful surroundings and the wonderful sense of fun and enthusiasm that she draws from her children. LA Originals is where she offers her handcrafted designs for sale, and everything you see has been created with love and care by her in her smoke free but pet friendly home. Many of her pieces are one-of-a-kind but if you see something you particularly like in her SOLD items, just convo her and she will recreate something similar for you, or work with you on your own custom design. All items currently listed are available and ready to ship. If you'd like to win one of these hats just link to this post either using the 'create a link' at the bottom of this post or simply creating a post on your blog and including this link. That carrot makes my day! Oh! Those are the cutest hats I've ever seen! Oh, these are absolutely cute! The carrot one is just so adorable! My friends mom just had her newborn little girl a few days ago and I would love to win this for her! I linked! Thanks so much, these are sooo cute! I just posted a link on my blog... these are super cute!!! I hope I'm lucky enough to win one of these!!! got you on my sidebar. These are a riot! I love the hats!! My favourite is the strawberry one, because my daughter is obsessed with them! Not sure is it the same one selling in Metro Singapore? I linked to this in my Google Reader (http://www.google.com/reader/shared/Kaleidoscope.Eyes.8), as well as my Facebook! Please enter me! How could an already adorable kid get any cuter? By wearing one of these super-adorable hats!!! Love it and linked it at http://holliekerslake.blogspot.com/! these are too cute to be true! These would definately make me want to eat em up!! Linked - totally love this giveaway! i love that cupcake one! I am amazed how people are so gifted... pick me!!!! I linked!! love the little nut hat! 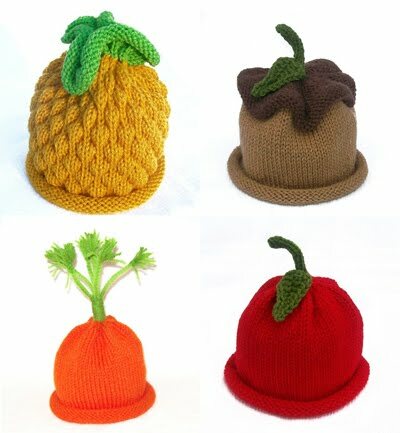 I have a baby girl and I am loving thee hats...the carrot may be my favorite!! I too created a link! 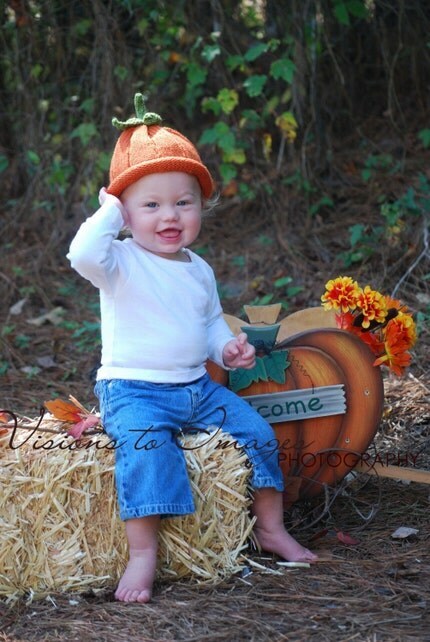 I have a redheaded 9 month old that needs that carrot top! It's just too perfect.